The #project360 brings the most spectacular alpine tours straight to you. At Mammut everything is about mountains. Are you ready as well for breathtaking views from dizzying heights, for magical panoramas and stunning videos? 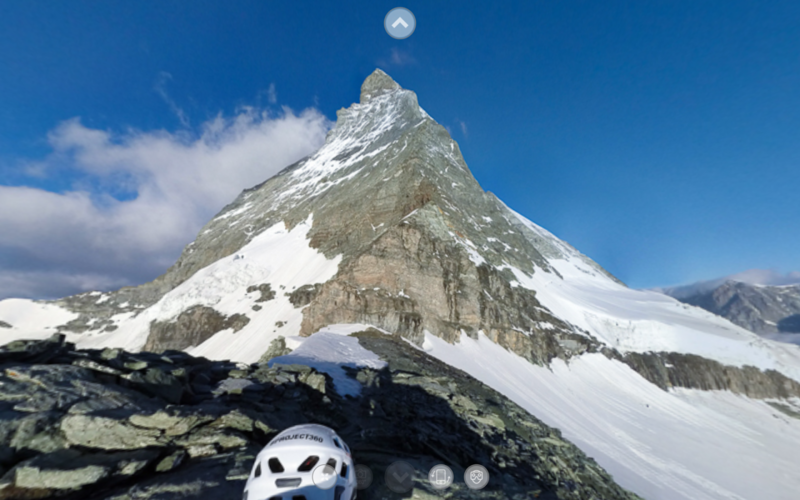 Developed by the Swiss alpine sports brand specialist Mammut, the App #project360 makes it possible to experience the magnificent atmosphere of classic ridges, glaciers and steep faces with your smartphone or tablet – all in realistic 360° panorama pictures and videos. Be part of the rope team of our Mammut Pro Team athletes and mountain guides and take on the challenge of the exposed ridges of the Matterhorn or the steep flanks of the Eiger North Face. 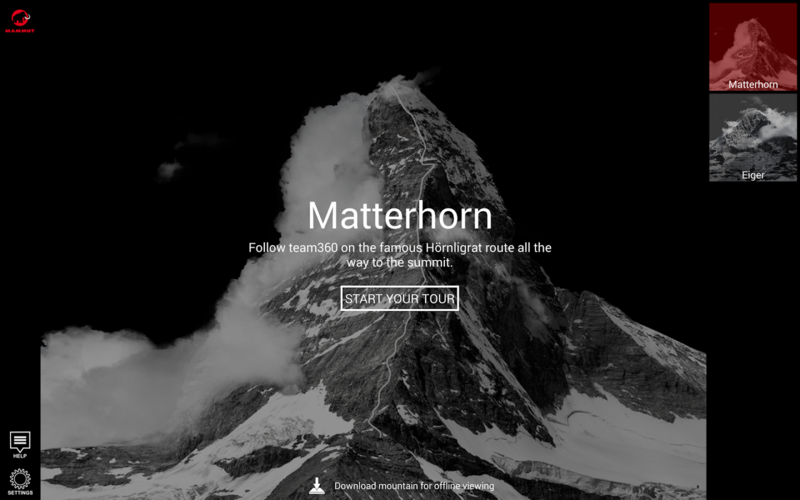 With a head-mounted device (e.g., Google Cardboard, Zeiss VR One, Homido or others) the virtual reality of the images allows you to experience the ascent of the famous and bold Eiger North Face or the Matterhorn in the thick of it. The #project360 was born out of the idea to share authentic footage of the most renowned routes of the Alps as insider facts not only with full-on alpinists but also with every mountain aficionado. To realize this project an innovative backpack system with six cameras was developed, that makes it possible to shoot perfect panoramas and HD videos even under harshest conditions – for an all-around great experience! 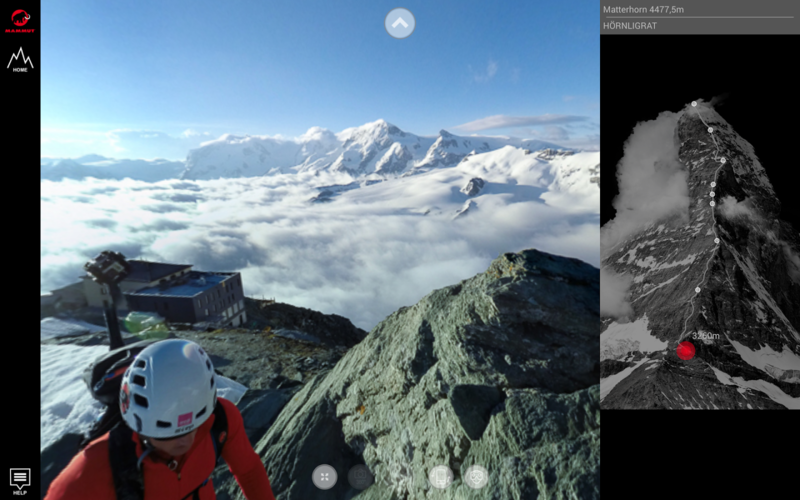 You´ll find all information on #project360 at http://www.project360.mammut.ch. The version 2.0 comes with a Master/Slave functionality and you can share your view from the climbs with your friends via a Bluetooth connection and an external screen. In addition, Mammut offers more interactive tours for your smartphone or tablet.